CYO Volleyball up to the Challenge! The annual CYO Volleyball “Challenge” tournament kicks off regular season volleyball as the teams gather to get some pre season scrimmages under their belts and work out the bugs. Teams from all over the Greater Portland area including Clark County, WA were on deck for a great weekend of volleyball. 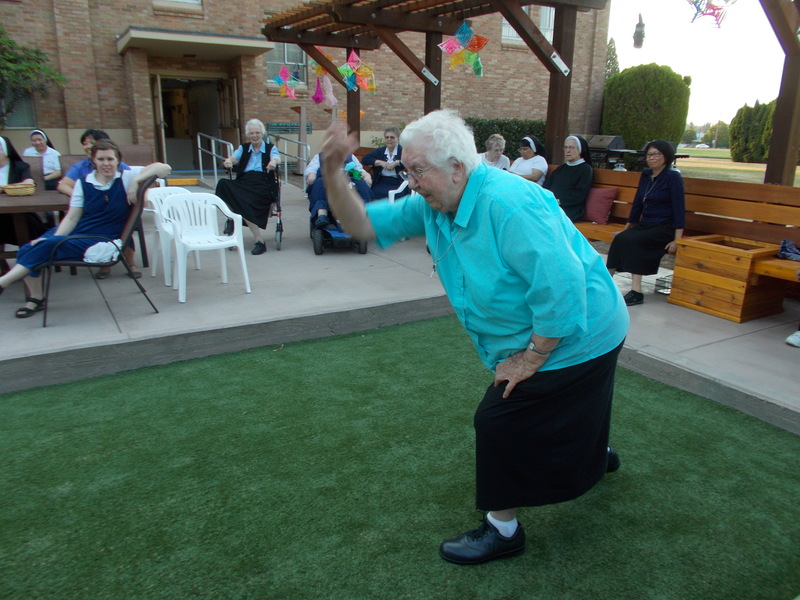 Guess Who Won the SSMO Singles Bocce Tournament…? The contest came down to two people…Sr. Michael Francine and Lee Green, father of Sr. Alison. It was one of the best contests of the tournament with each ball thrown taking the lead. 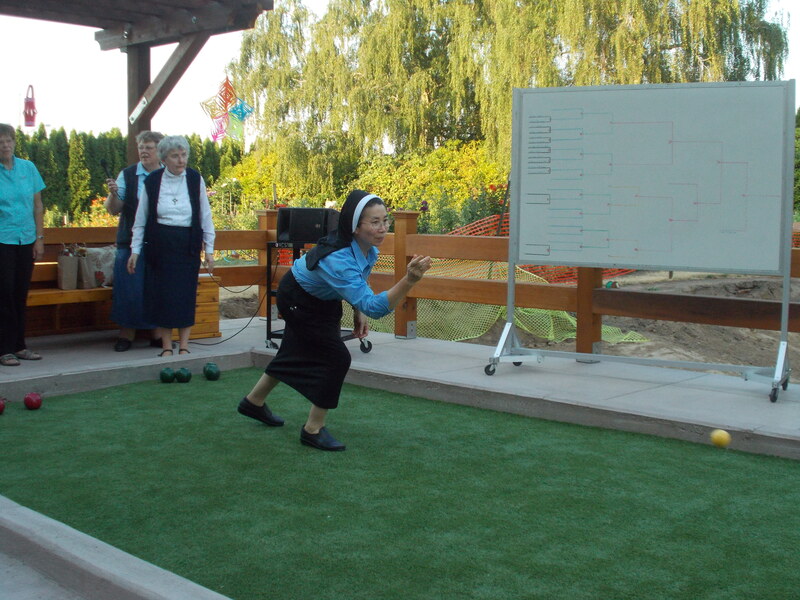 Sister Michael Francine threw a ball that nestled right up to the jack and the question was…would Lee be able to knock her ball out and win? 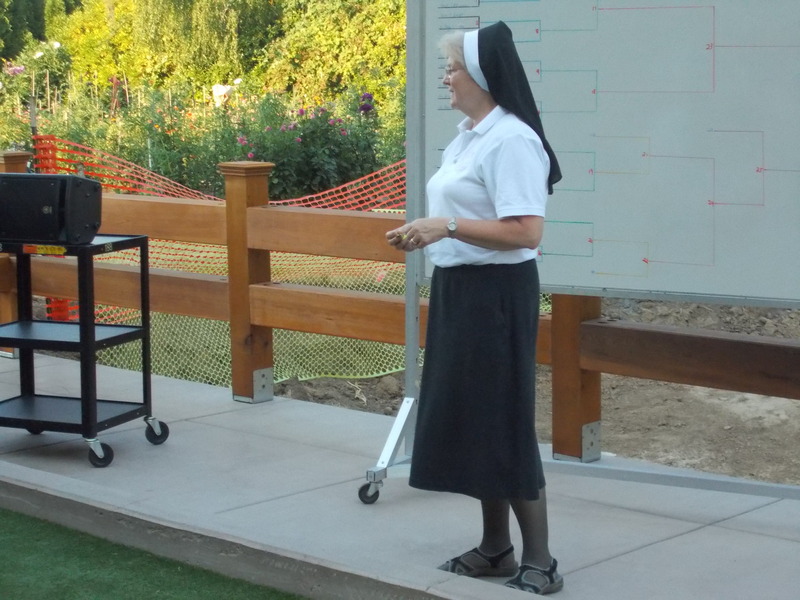 Nope…The SSMO tournament was won by Sr. Michael Francine and it was a great contest to participate in and watch. 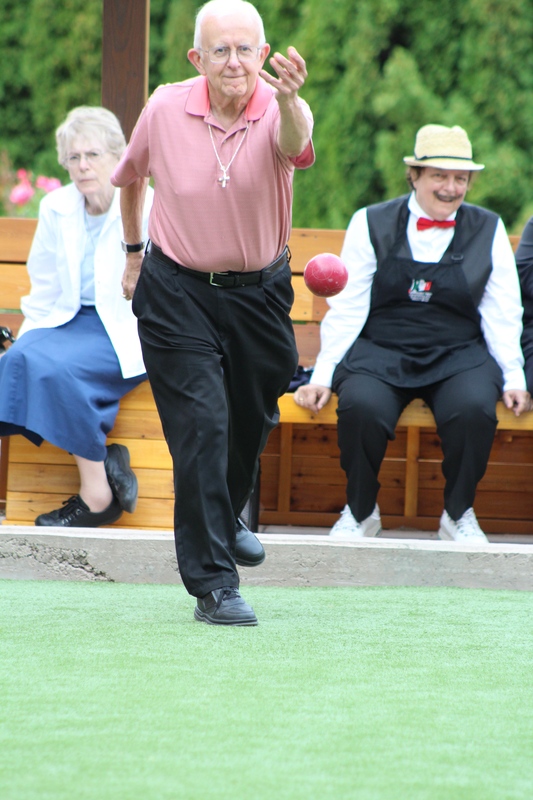 Lee Green throws his final ball. 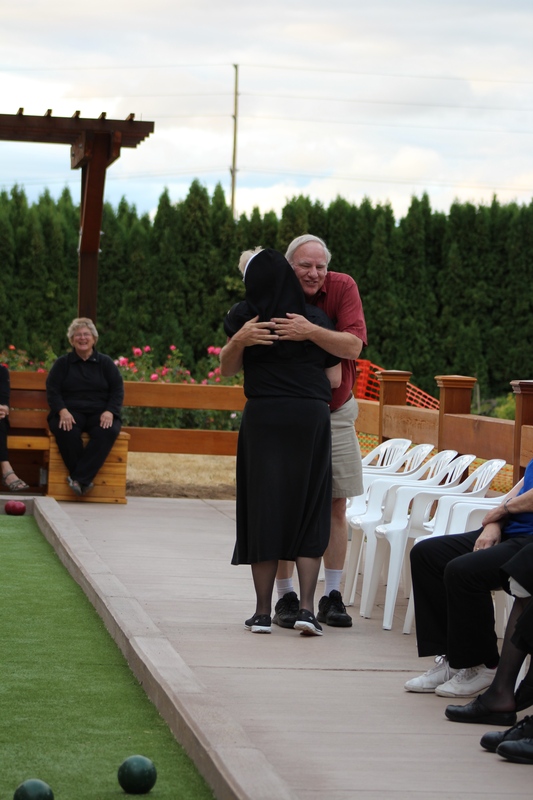 Sister Michael Francine and Lee Green congratulate one another for a great contest and tournament. Lee and Sr. Michael Francine ham it up! 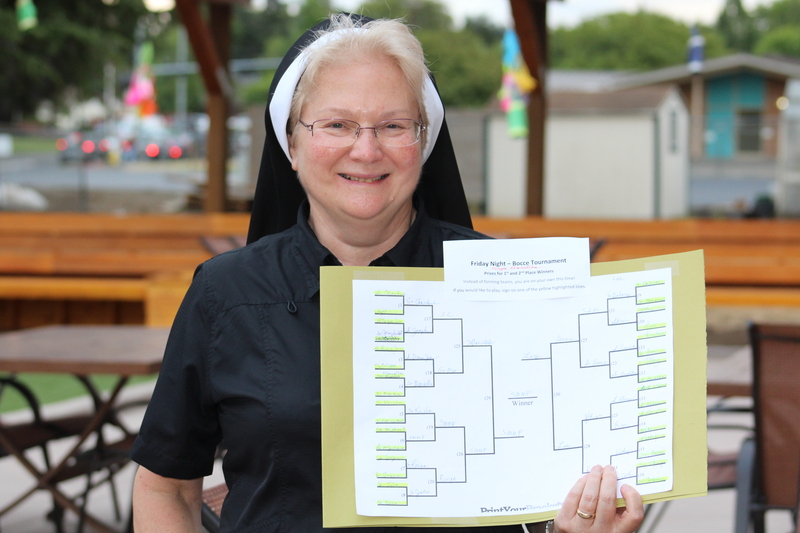 Sister Michael Francine is the big winner with bragging rights! 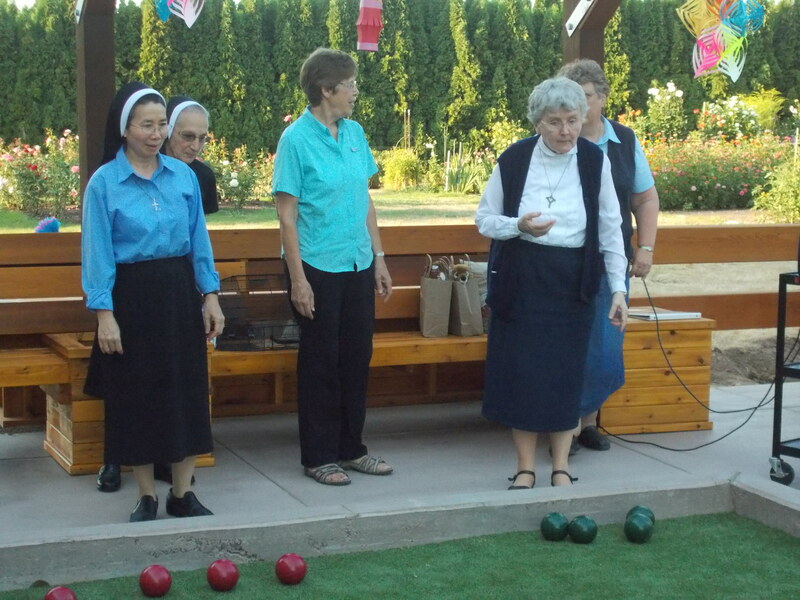 The Sisters of St. Mary of Oregon joyfully dedicated the new patio and bocce courts Wednesday August 12, 2015 with the opening of Community Days on campus. 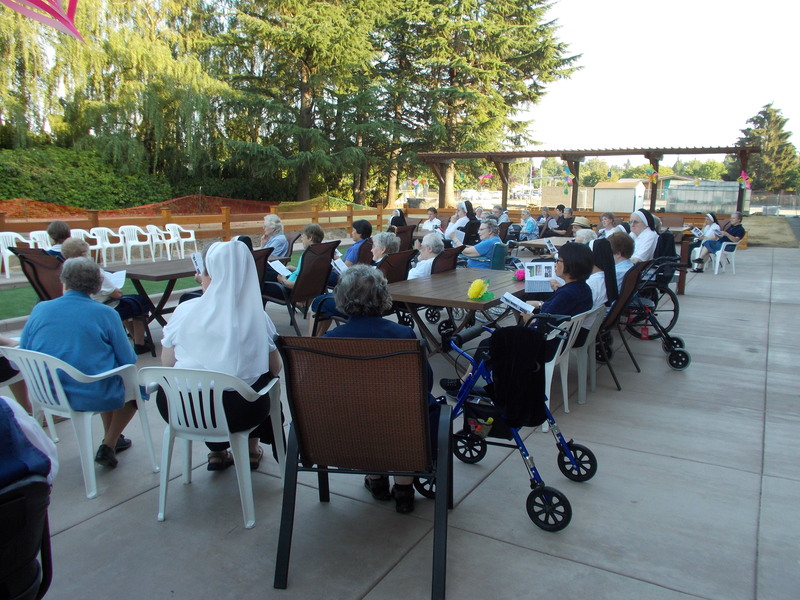 The court and patio is located on the East side of the Motherhouse building designed to give the Sisters some area for outdoor recreation and gathering. 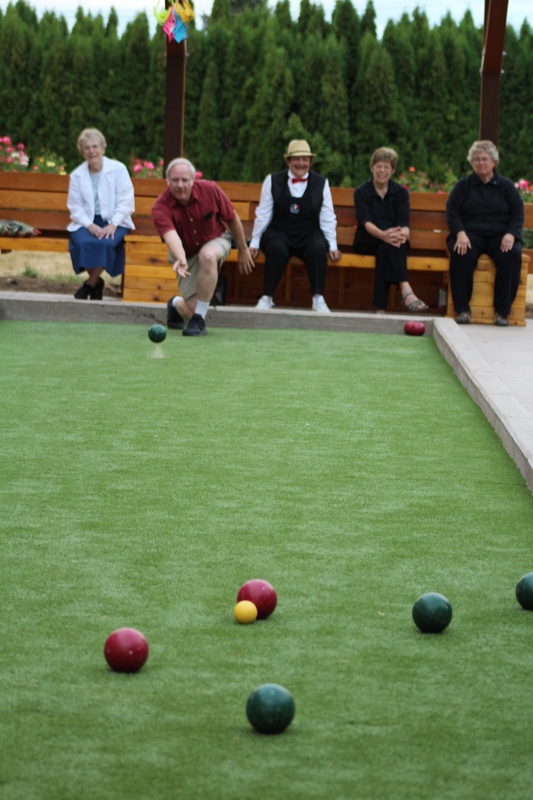 Bocce was at one time, the most popular sport in the world. 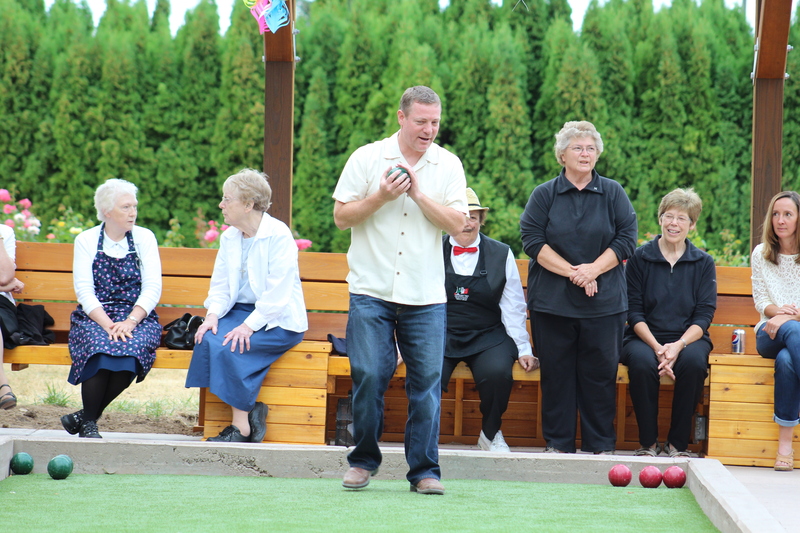 The Sisters have enjoyed playing the game the past several years including annual championships and contests. 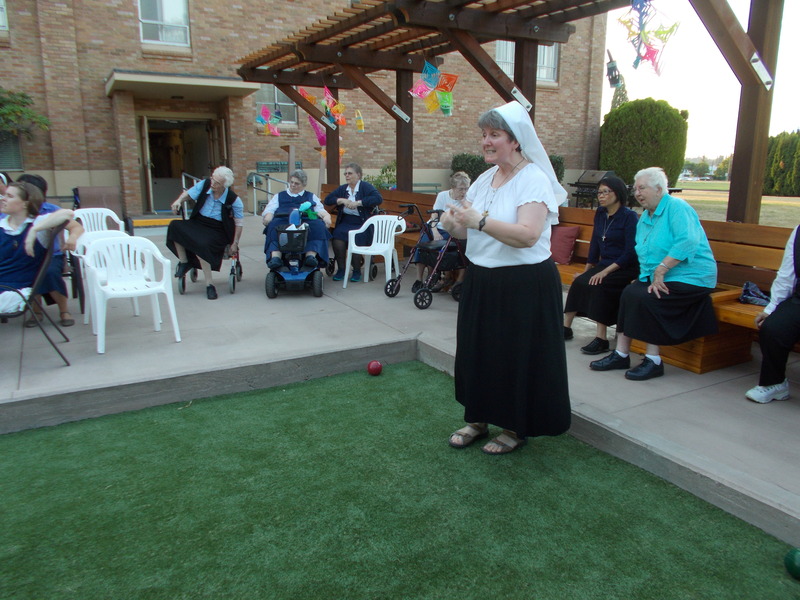 Opening of the new SSMO Bocce courts located not he East side of the Motherhouse. 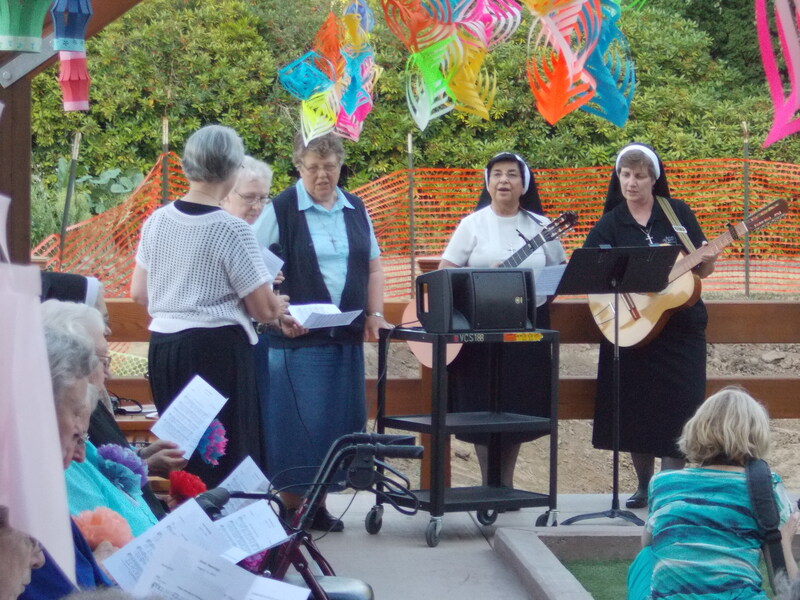 Sr. Josephine, Sr. Charlene, Sr. Juanita and Sr. Adele Marie lead prayer and song as the patio and bocce court are dedicated. Sr. Theresa Lan, Sr. Delores and Sr. Catherine are first up in the competition! Sr. Theresa Lan, a formidable competitor, take aim! Sr. Colleen and partner take a turn as their names come up in the bracket. 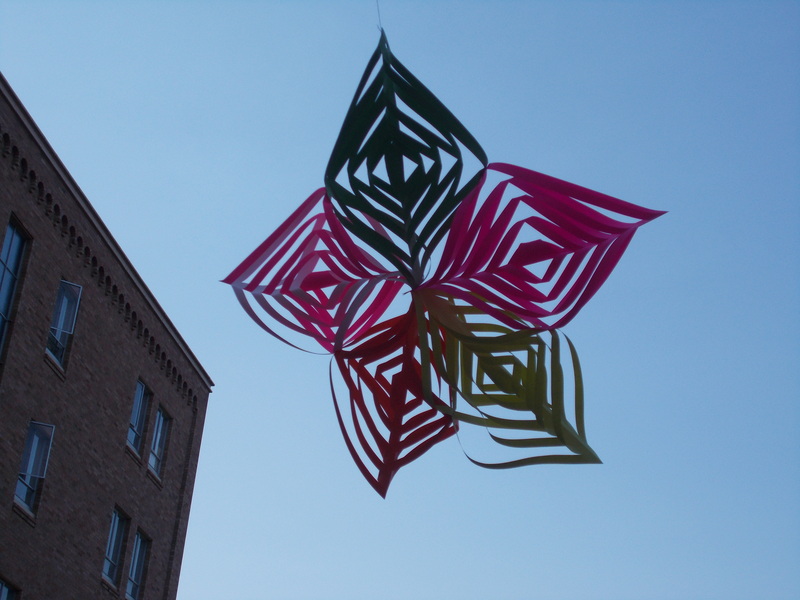 Beautiful decorations were made to celebrate the new area. 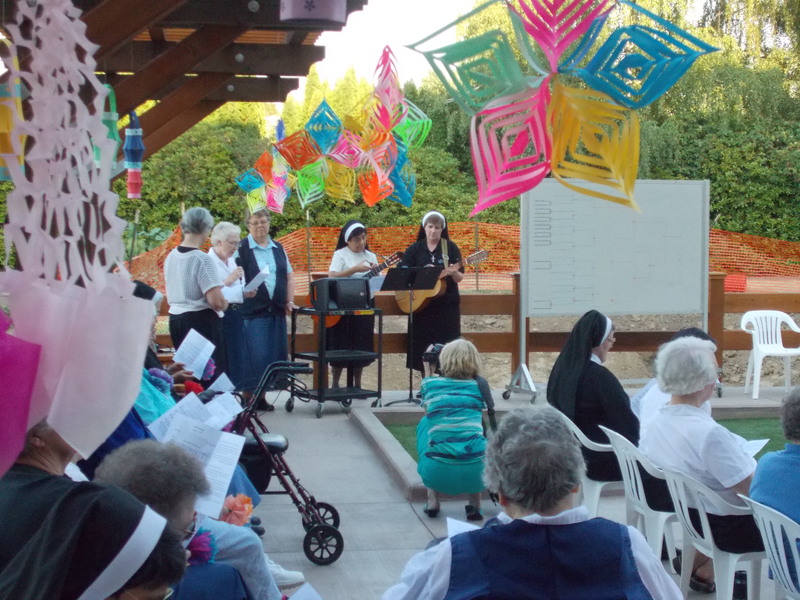 Sisters enjoy the chairs, tables and environment as they engage in the dedication service for the dedication of the new patio and bocce court. 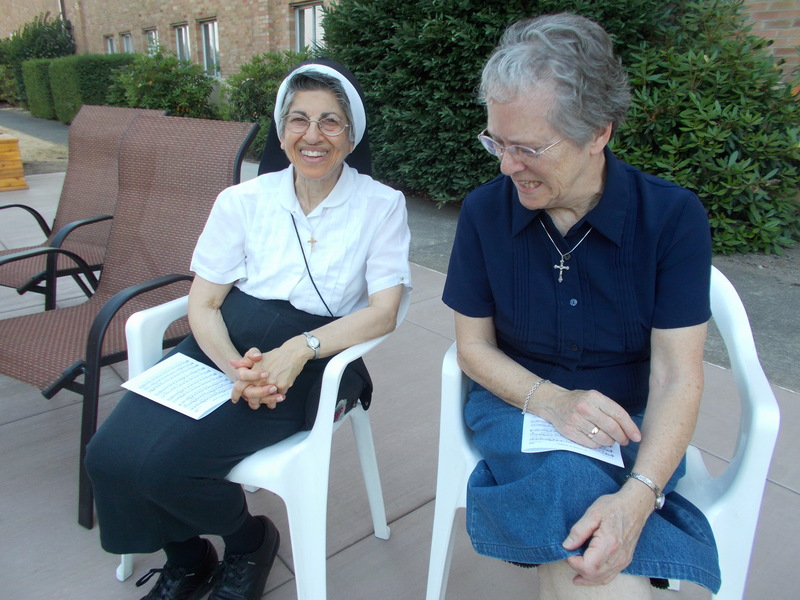 Sr. Marie Bernadette and Sr. Marianne enjoy the activities! 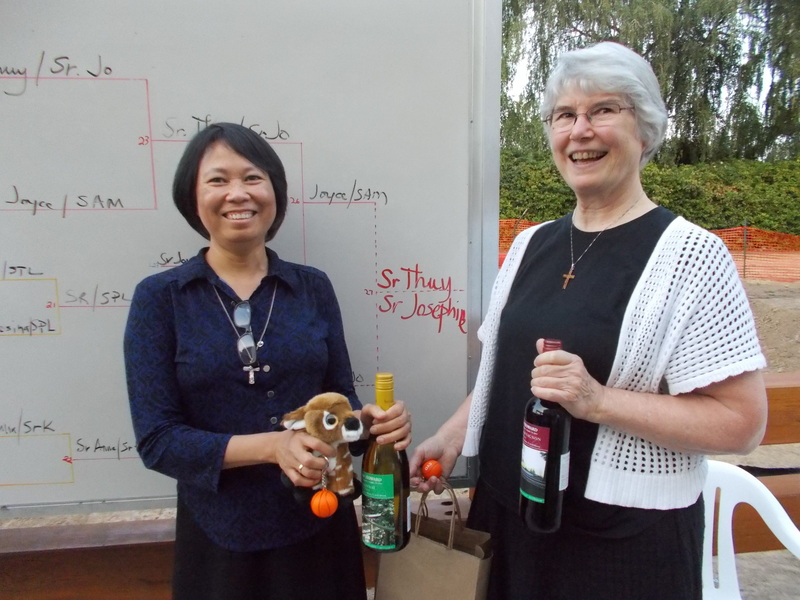 Sr. Thuy and Sr. Josephine win the first SSMO bocce tournament! Congratulations! 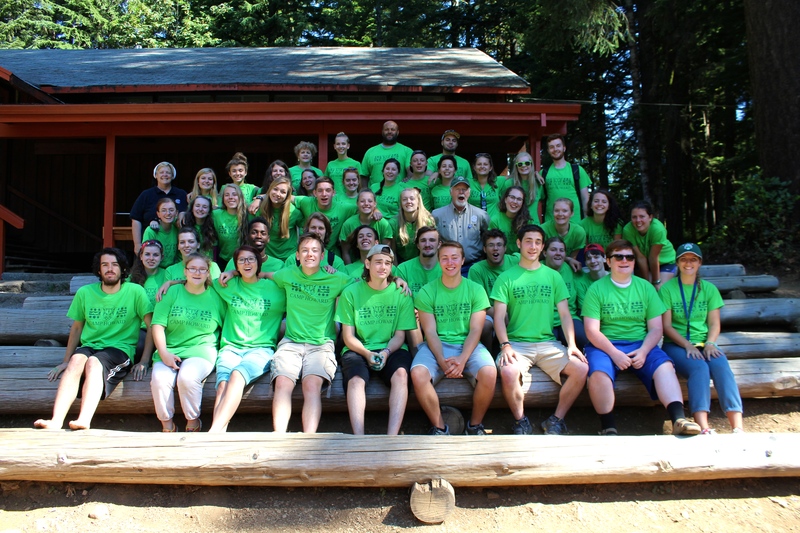 2015 Camp Howard Staff – THANK YOU! Campers love their counselors and it is important to Summer Program Director, Bill Fogarty, to find young people to work at the camp who will make great memories for the kids. Bill did another great job of assembling a group of young people to lead the camp through the summer sessions, make great memories for the kids and keep them in safe and fun environments! Camp Counselors are a special group of people who make a lasting contribution to youth while making great memories for themselves as well. We are grateful to all of these young men and women for the great job they have done this summer on behalf of CYO and Camp Howard! THANK YOU!